Adventures of Elis: WROCŁAW, Poland. A rainbow city! One of the most exciting surprises I’ve had so far whilst travelling in Europe is discovering the colourful Polish city of Wrocław. I have to admit, despite being one of Poland's largest cities, I'd not even heard of Wrocław before my local airport started advertising flights. The old town is amongst the most colourful I’ve seen, and the city is brimming with history and culture. I fell in love with the Polish people, who were so friendly and so tolerant of my lack of Polish language skills! I should probably clear up the name issue early in this post, as it took me a while to get! Before going, I told people I was going to ROCK-LAW, but found out upon arrival that the correct pronunciation of the city's name actually sounds more like VROTS-WAV. Wrocław has had a long and interesting history. First founded by a Slavic tribe in the 6th century, the city has since been ruled by Poland, Bohemia, Hungary, Austria, Prussia and Germany before finally returning to polish rule in 1945. 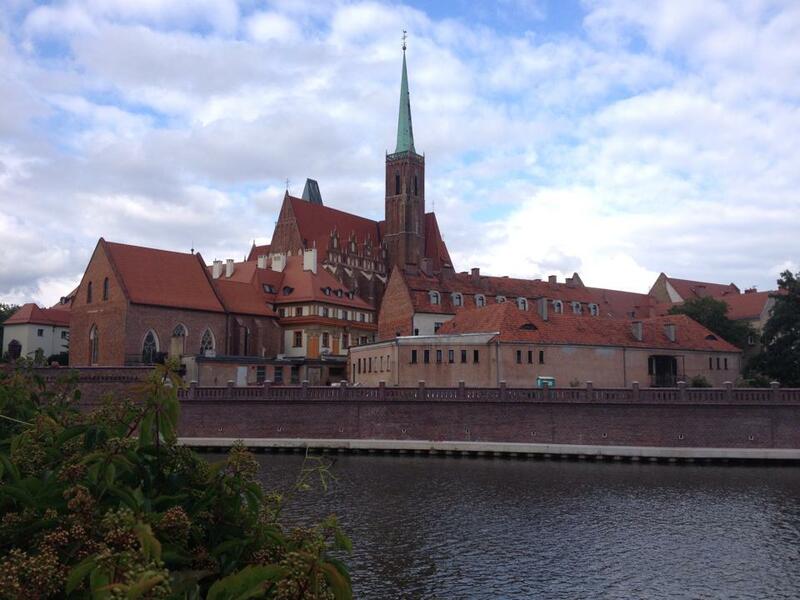 As a result, a range of architectural styles coexist in the city which makes Wrocław a very interesting place to visit. A lot of history exists here, with attractions including the huge, and extremely colourful central market square (known as the Rynek Główny), the grand town hall and the impressive cathedral in the historic Ostrów Tumski district. 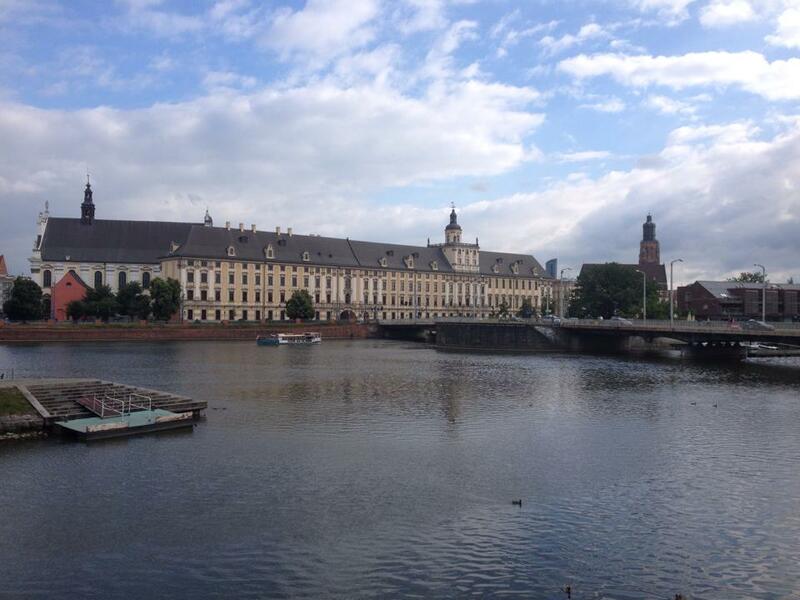 The Second World War severely impacted Wrocław, with the Battle of Breslau sadly destroying large swathes of the city. Post-war re-building had to be done quickly and cheaply, and took place in the shadow of the communism, resulting in an abundance of communist-style apartment blocks on the edges of the city. 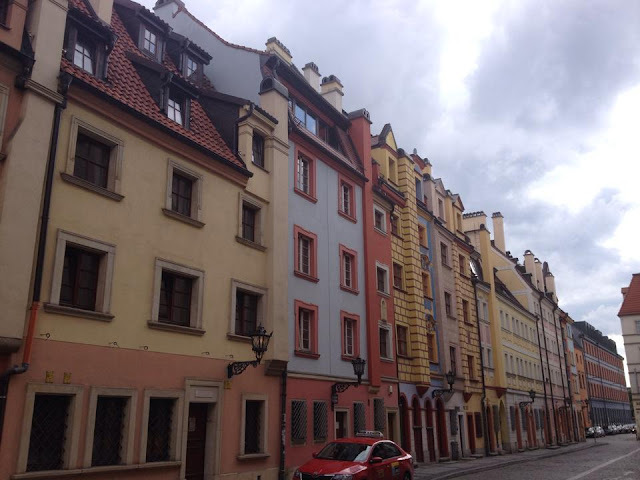 Whilst these sections of Wroclaw aren’t necessarily visually attractive, I feel they add to the city's charm. 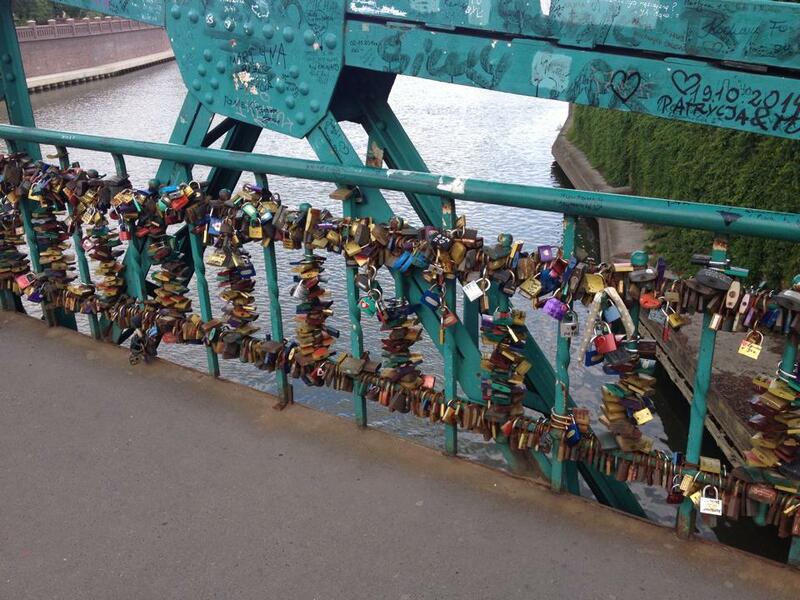 They make the city feel ‘real’ and ‘lived in’, not just a tourist attraction. This being said, large swathes of the old city were untouched by the war, remaining today in their former glory. The oldest part of the city, known as Ostrów Tumski, is nestled on the banks of the Odra river. As with the rest of the old town, this area is extremely colourful, and houses the impressive St. John the Baptist Cathedral. The Tumski Bridge (Most Tumski) leads you over to the Ostrów Tumski district, and gives very pretty views of this part of the city. It is unsurprising that this scenic location has attracted clusters of ‘love locks’ - lovers have attached heart themed padlocks to the bridge and thrown the key into the river below as a sign of their everlasting love for one other. As it flows through the city, the Odra River breaks up into a number of smaller channels and canals, creating several islands, connected by a number of bridges. These small river islands are green oases in the busy city environment. This has led to Wrocław’s nickname of ‘Venice of Poland’. Whilst I think such a nickname gives off a false impression, the city’s riverscape and waterways are certainly very pretty and provide a perfect place to go for a stroll, or to simply relax in the sun. For me, Wroclaw's most striking aspect is the old city’s brightly coloured buildings. Each building is a work of art. 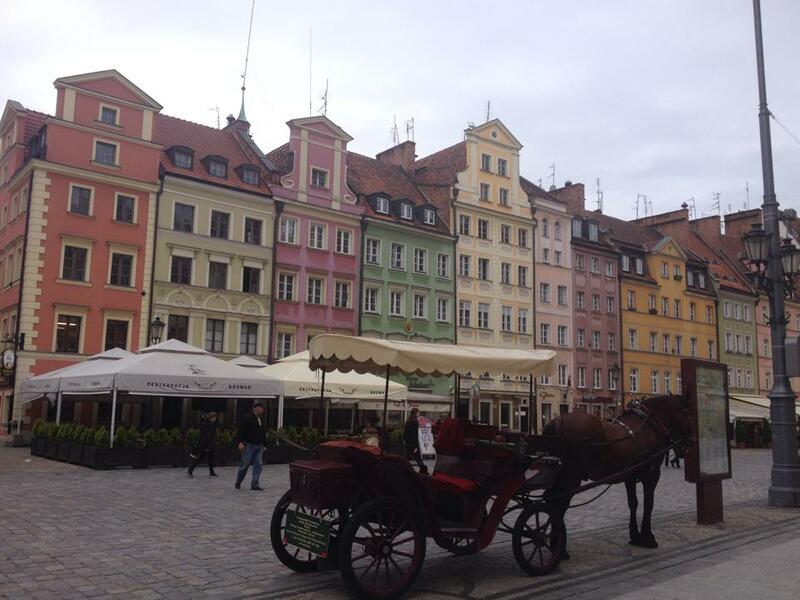 The main square and surrounding streets are an artist's palette - outstandingly beautiful. Sit in one of the cafés or restaurants in the square and take it all in – look at the intricacy of the designs, take in the vibrancy of the colours. 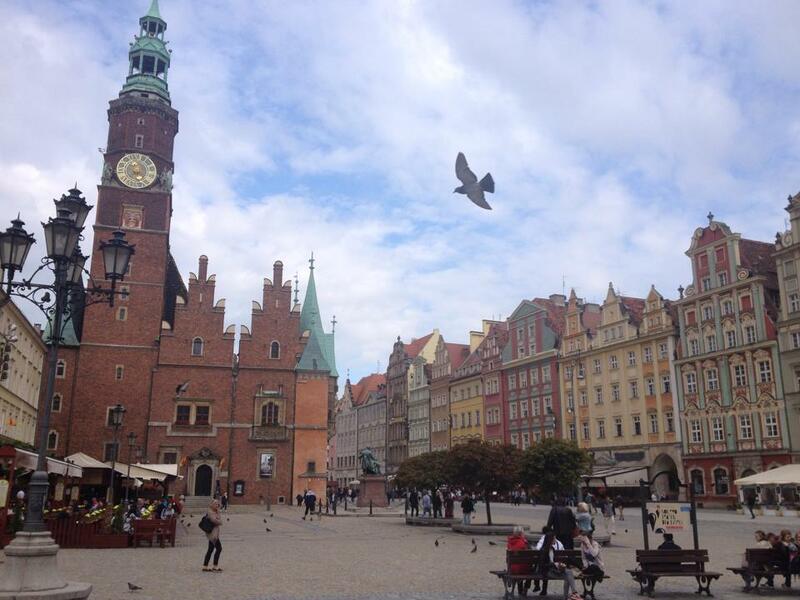 Nothing will prepare you for the scale of the Rynek Główny, it really is stunning. Travel around the city is easy. An international airport has opened in recent years, offering flights around Poland and the rest of Europe and travel between the airport and the city centre is easy using the 406 bus, which runs roughly every half an hour (but it is advisable to check times before travel!). Within the city it is easy to get anywhere quickly – just jump on a tram! 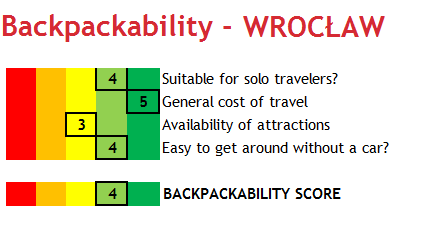 As with everything else in Wrocław, the cost of public transport is very low - just remember to validate your ticket as you get on. 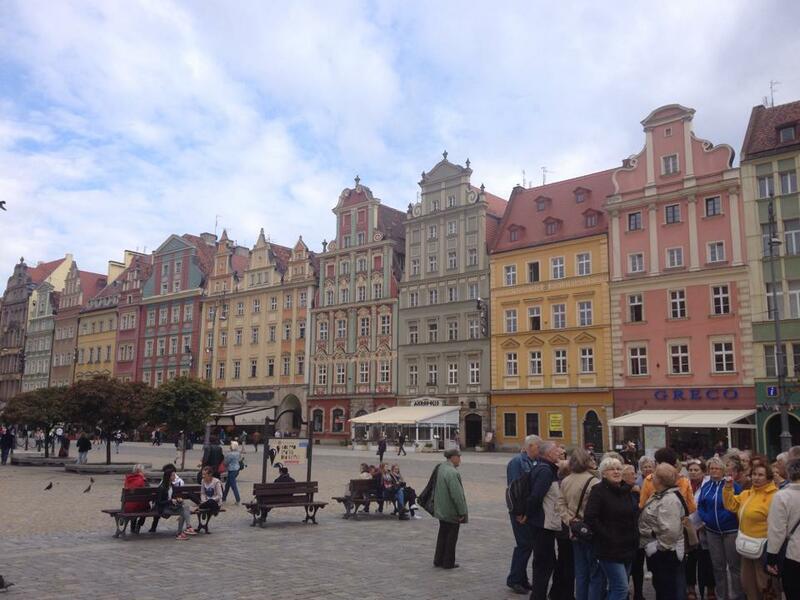 I loved Wrocław and wish I had budgeted more time to explore this wonderful, colourful city more thoroughly. 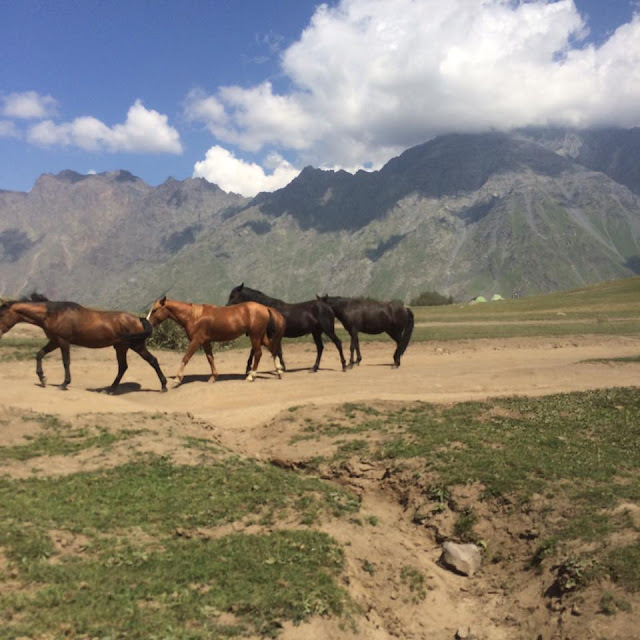 To say I had not heard of the city a few months ago, I am very happy to discover this gem, and would love to return. Have you been to Wrocław, or thinking of going? If so, leave a comment below!